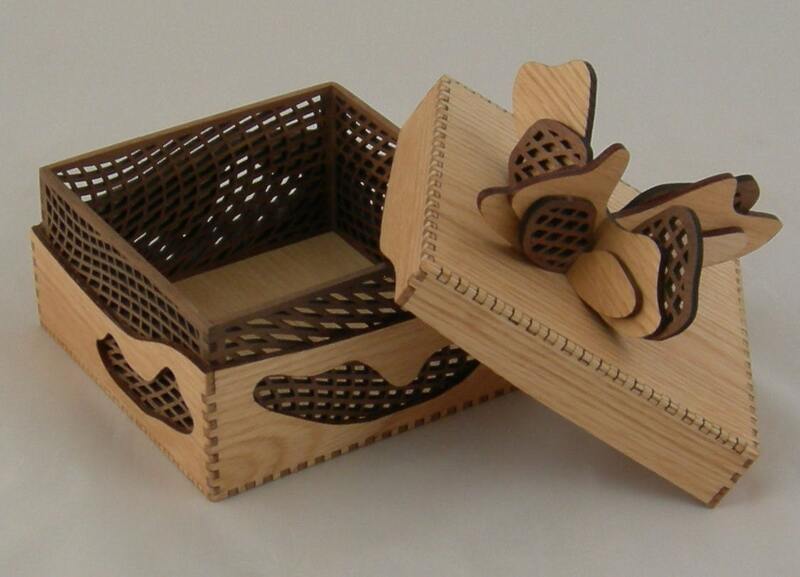 This carefully finished box has an abstract bow on top ready to present as a lovely gift. 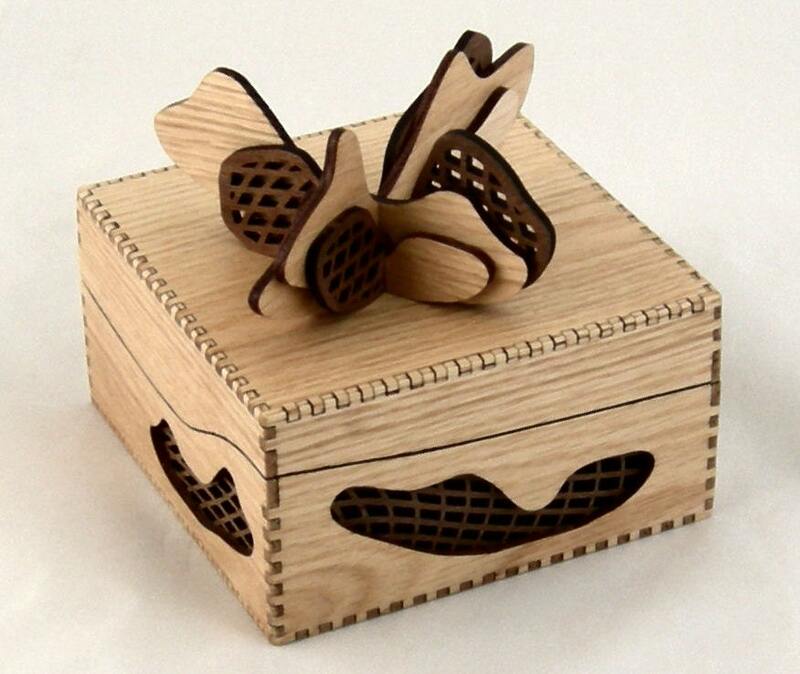 The box is made of oak and walnut, laser cut, hand assembled and polished to a warm glow. It feels great in your hands. Measures 4 7/8" w x 4 7/8" d x 4 1/2" to the top of wood bow. This amusing box would make a great gift by itself. Or you can use it to present something even more precious. You don't even need to wrap it (but we'll ship it in a nice cardboard gift box anyway). Free ground shipping in USA.